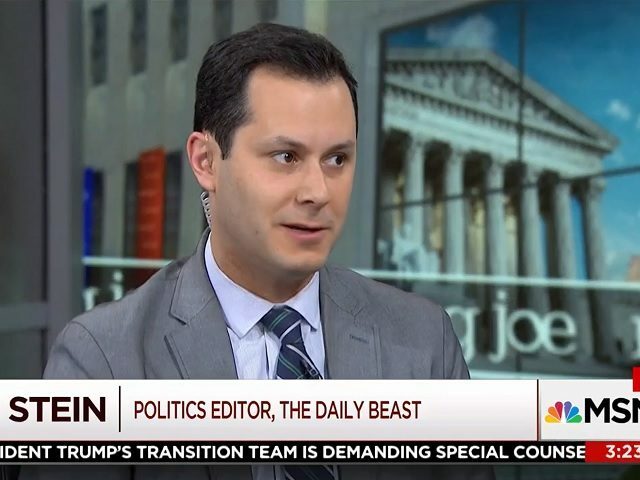 Sam Stein is a national political reporter for the Daily Beast and frequent NBC News contributor, and he appears to have no idea how a fire exit works. “This is a bad, bad idea. getting out of a school is just as important as getting in. And it’s not just about guns. A fire, for instance, would be a horrifying nightmare if there was only one entrance/exit,” Stein tweeted. the degree to which people will think of truly odd and bad policies in an effort to actually avoid tackling the issue of firearm accessibility is remarkable. Part of the problem with Stein’s response is simply the reactionary way in which the establishment media are locked and loaded to shoot down every idea that does not involve infringing on our Second Amendment civil rights. A big part of this, though, is just plain old ignorance of the details and workings of ordinary, everyday life. 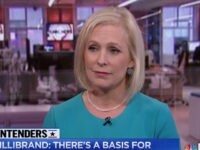 So-called journalists today, who float above-it-all in the ether of green rooms, cocktail parties, and the elite salons of D.C. and Manhattan, have so lost touch with the mechanics of normal life, even the idea of a fire exit sails over their pointy head, comes off as “truly odd” and alien. Let me describe for you a place that controls its entrance in the exact same way the lieutenant governor describes, a place I like to call the Washington, DC, studios of NBC News — you know, a place Sam Stein probably knows fairly well. At this magical place, everyone is funneled through a single entrance in the parking lot, and then through a single entrance into the studio. I do not want to go into the kind of detail that might compromise NBC’s security, but that was my experience. The same is true of all movie theaters and airport terminals (hence, the long lines), most (if not all) courthouses, office buildings, and government buildings; my local grocery store, most restaurants and fast food joints, and pretty much every job I have ever worked at. What’s more, I am willing to bet Stein’s cushy office at the Daily Beast works the same way. For security purposes, in most every public building, you are going to be funneled through a controlled entrance or two. My local Walmart is as big as any school and there are only two ways in. “BUT OMG WHAT IF THERE’S A FIRE!?!? !” a bubbled provincial might scream. In case of fire or any other emergency, there are these wondrous things called fire exits, and what they allow an establishment to do is ensure security without risking safety. Fire exits are amazing in how they allow anyone to exit while at the same time not allowing anyone to enter. You see, these clearly marked fire exits are locked on the outside, but not on the inside. We truly do live in the age of miracles. Outside of the hysterical bias and dishonesty, it is their repeated failure to grasp the commonplace and ordinary details of life outside of a television studio that is most responsible for killing the establishment media. And this is an unforced error. It used to be that reporters prided themselves on real-world experience, the time they spent with their sleeves rolled up and in touch with everyday life. No more.